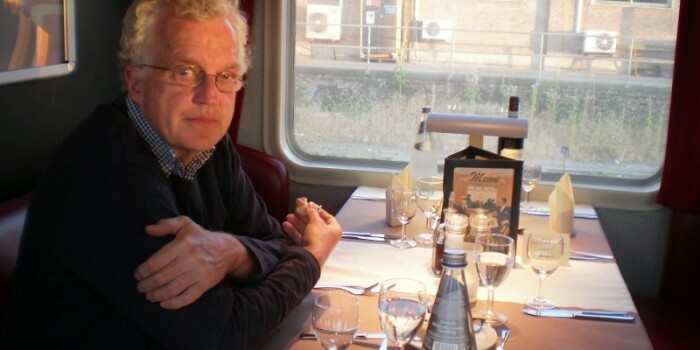 By failing to lay down proper ground rules for the refranchising process, CHRISTIAN WOLMAR believes that the overhasty Strategic Rail Authority has ensured that battles for key contracts such as the East Coast route are likely to be decided instead by the courts. And meanwhile…they are franchising out the railway. Or trying to but not doing a very good job of it so far. The East Coast Main Line was supposed to have been announced late last year but the recommendation has been sitting on Deputy Prime Minister John Prescott’s desk since December 4. But, for once, it is possible to sympathise with his indecision for whichever way he goes, all hell is set to be let loose. Indeed, if this case does not end up in front of M’learned Friends, just as the award of the National Lottery contract – which also featured one R Branson – did a few months ago, I will eat my bicycle chain. A bit of history to set the contest. This was a franchise which did not need to be at the front of the list of reletting, but the Strategic Rail Authority was bounced into it because the incumbent, GNER, owned by Sea Containers, said it could not invest in much-needed trains on the basis of a franchise that ended in 2003. Really, the company just expected an extension rather like the one that has been granted to neighbouring Midland Mainline but the SRA felt that since this was Britain’s premier rail line – at least until the West Coast refurbishment is completed – it had better go through a proper tendering process. The expectation was that since everyone knew GNER’s boss Chris Garnett was such a nice chap and the company had done jolly well, it would be a shoo-in…. But then Virgin – 49% owned by Stagecoach – spoiled the party. Branson and Co launched a bid which required some 100 miles of new line and involved a vast increase in capacity. When I pointed out in this column that it was impossible to compare the two bids because of the different assumptions on which they were based, I was rebuked by Mike Grant, the SRA’s Chief Executive, but within weeks he realised the error of his ways and asked for a compliant bid for Virgin while launching a study of potential new lines for the East Coast. Virgin did not go away, however. It put in a very confident compliant bid based both on increasing capacity on the existing line as well as creating the high-speed line at a later date. All the trains are to be rebuilt by 2005 and have diesel engines fitted to provide extra power and increased acceleration. New Virgin Vitesse trains will start coming into service around then as well to expand services. So the competition is between a company with a proven record of good service and modest expansion against one that has had problems with existing services on the West Coast but is, by all accounts, on time to deliver a whole new train fleet. Now we get to the difficult bit. According to an anonymous letter written by an SRA insider, the Virgin bid was better than the incumbent’s on every ground, with or without the high-speed line. By the summer, the project team found that Virgin was ‘the clear winner’. However, the recommendation was rejected by Mike Grant who asked the project team to reassess the bid on a number of criteria. According to the author of the letter, “Virgin came through as the preferred bidder on every one of these tests.” In terms of value for money, “the Virgin bid is such that the subsidy/ premium profile is £1.5bn better than GNER.” But, the author says, the recommendation sitting on Mr Prescott’s desk is for GNER to retain the franchise. The Treasury has now apparently weighed in, favouring Virgin, and the whole thing, given that all of this is now out in the public domain, has all the makings of a fiasco. To say that the Stagecoach people are incandescent is to suggest the Great Fire of London was a damp squib. They are champing at the bit to launch a judicial review of the whole process, something which will do no good at all to the railway. Don’t be fooled by the fact that Branson pulled out of a last-ditch legal challenge over the Lottery. This time, given Stagecoach’s support, there will be no holding him back. The problem, fundamentally, is the way that the SRA went about refranchising. It was in such a hurry that it did not set down ground rules on how it could make decisions. In the first round, back in 1996/97, it was easy – the cheapest bid, requiring the least subsidy, won. Now, however, it is more complex. That is well demonstrated with the situation over South West Trains. The first two bids, from Stagecoach and FirstGroup, both suggest there will be around £2bn worth of investment; the third, from GNER (possibly in an effort to show that they are really good guys), involves tunnelling under London and moving Clapham Junction, which therefore implies double that level of investment. But most of that will come from the public purse and so it is much more difficult to choose between them without ending up in court. The SRA does not have an easy task but its difficulties have been compounded by its haste in charging into the refranchising programme before setting out clear strategies for itself. The famous strategy paper is now not due to be published until late this month when it was originally promised for the end of 1999, a delay which has infuriated Prime Minister Tony Blair, who has taken a great personal interest in the railways since Ladbroke Grove and, particularly, Hatfield. The SRA should have started the other way round by looking at key projects and deciding on a priority list for them. Then it could have asked for bids that fitted into those principles. Now, sadly, it seems that the SRA’s dithering over decisions is going to mean that they will be made by judges. Track circuits short-circuited – or not? I have no claim to be a technical expert but I know enough about how the railway works to have wondered about the track circuits in the Hatfield crash. It seems that the rail was broken by a previous train and I wondered why the track circuit had not therefore turned the signal to red. Part of the answer is that on 25kV electrified lines, only one of the rails is used for the track circuit as the other is the return for the electricity. And, inevitably, it was the wrong rail which shattered. However, some railway people have suggested to me there may have been a way that the signalbox might have noticed something was amiss. So after the press conference to launch the Health & Safety Executive’s report, a couple of knowledgeable colleagues tried to press the various experts from the HSE whether this was a relevant point to raise. But, amazingly, despite having the gaggle of experts at the press conference, neither Vic Coleman, the Chief Inspector of the Railways, nor any of his colleagues could answer this point. Now surely this is just the sort of technical issue which should have been looked at and, quite probably, dismissed. But while there were a lot of self-serving comments about why it took so long to clear the track and why it was right that the buffet coach was laboriously removed rather than broken up, there was nothing about this potentially key issue. Regular readers will remember that I raised a similar issue about why there was nothing about the points in the Ladbroke Grove technical report. All this suggests that the HSE is not approaching these accidents with a sufficiently open mind. It tends to go into great detail about some issues while ignoring others. Indeed, there are many other issues missing from the HSE’s interim report – arguably, all the points of interest, such as why the defective rail was left in situ and why no speed restriction was imposed. The whole paper trail of maintenance and check will make fascinating reading, too, but all this is being withheld while criminal proceedings are being considered in turn by the HSE, the British Transport Police and Crown Prosecution Service. This begs the question, as I asked a fortnight ago about the Ladbroke Grove technical report (RAIL 401), as to why the HSE bothered to produce this interim report. Bringing out quick reports in the wake of accidents is a good idea, as happened three days after both Ladbroke Grove and Hatfield, because it sets out the facts and prevents uninformed speculation from getting out of control. But there seems little point bringing out a deeply uninformative report three months after an accident when, hopefully, in a few more weeks the full story can emerge. Is it because the HSE wants to be seen to be doing something? Has anyone noticed how the Association of Train Operating Companies talks about 23 out of 28 train operators running trains normally? But when Juliette Jowit, the Financial Times’ excellent Transport Correspondent, pointed out to the press office that there are only 25 franchises, she was told ATOC has three other members – Hull Trains, Eurostar and Heathrow Express – and these are included in the figures.